“It might take a year, it might take a day, but what's meant to be will always find it's way"
Salena: Hey there and welcome to this week's episode of the bringing business to retail podcast, now you know as a small business owner that cash flow can be a rollercoaster not just for you for any business whether you're big or small and whether you're looking to grow or just to smooth out those peaks and troughs hands up who's had those me having access to external funds actually gives you and your business a little bit of breathing space, but when you're a business, it can be a little bit tricky navigating the paperwork and the legalese that comes with getting your business access to those external funds. 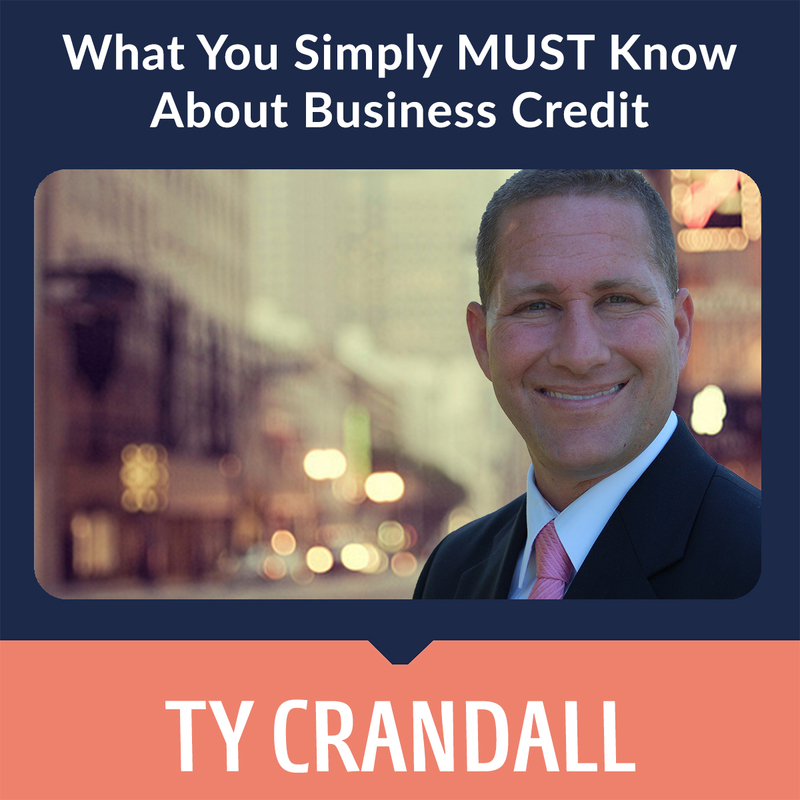 So, with over sixteen years of financial experience and a frequent contributor to radio and news shows, TV programs, magazines like entrepreneur and Inc and Forbes as well as the host of his own popular podcast Ty Crandall the business credit expert is going to show you how you can navigate your way to business credit success. So, welcome to the show Tay. Ty: Hello thank you so much for having me I'm so excited to be here. Salena: I love your cheaper voice did you say cheaper in America is it a word. Ty: Yeah, hey, chipper I love it this sounds perfect. Ty: I love all the Australian words like bloke in a cheaper, I love them all. Salena: Right, tell us a little bit about business credit like what is difference between business credit and personal credit well you know what most people don't know I mean most of us are familiar with consumer credit. Ty: Well you know most people don’t know most consumer credit you know it's linked to our personal identifying number and it's different in the country that we're based start out, but what a lot of people don't know around the world is that you know your business has its own credit profile its own score that's linked to your business identifying number. So, here in the US that's an EIN number it's a little bit different Canada in other countries, but it's exactly the same concept that you know worldwide businesses have their own identifying number within the country they are and they could build a credit profile and score that's linked to that number and then use that credit profile and score to make it easier to qualify for loan and credit lines and they can use that credit profile and score to solely and nothing else taken into account qualify for all different types of revolving credit with Visa MasterCard even places like staples and Amazon they can obtain credit. Salena: Yeah, here in Australia and the majority the listeners through the show are in America. So, they'll be rise on all these legal jargon words these awkward names, but here in Australia we have the choice of being a sole trader which means you just trade as yourself very limited legal liability there. So, if someone Sue's you they can take your house, but it doesn't cost anything to start and then we move into you know companies and partnerships and things like that and those companies will have their own entity number for So, I know that you know things like for me things like your staples we have office works here in Australia. Those kinds of places tend to be a little bit more forgiving when it comes to getting credit. So, those the places that you should start with. Ty: Well I think there's a couple different ways to go I mean when it comes to _ we are looking at this as two different aspects there's business credit and then what I call financing which are loans and credit lines, when it comes to business credit, I think any business should start building credit right away you know they should go to there's places like Uline and quill and there's these small vendor accounts that will give these net thirty type accounts that they'll give to almost anyone and you can get them as a startup and they don't do you know personal credit poles. Those are really good to start building the business credit profile and score and once that's established then your staples and your Amazon at your Walmart and all these other retailers open up. Then there's the financing side and financing is really based on the strength that you actually have. So, you know for example if the strength is that you have collateral well there's a lot of what are called asset-based lenders that will use that asset that you have as collateral to lend you money or maybe your strength is that you have consistent revenue and you want to start that way with a revenue lender or maybe your strengths is this that you have good consumer credit and you want to use that strength to qualify. 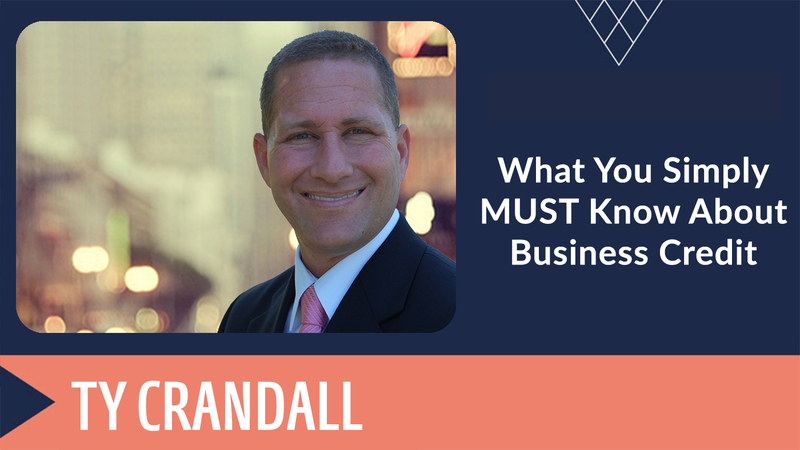 So, business credit should be built right from the inception of a business the other financing is available really the business owner wants to pay attention to what their strength is to determine the financing they're able to qualify for and where to start. Salena: So, you said there asset obviously that's you in properties or even the stock in your store or here the inventory that you're holding, is that classified as an asset? Ty: Sure, I mean so assets might be account receivables other people that owe you money that our orders are orders you fulfilled that have yet to been pay purchase orders where you're trying to get you know things that you need to fulfill orders maybe you have stocks and bonds or here in the United States you have hose kind of securities can actually be used to qualify for business financing as you mentioned stock or what we call inventory can be called used to qualify you for inventory financing or maybe you want to buy equipment or maybe you already own equipment you want to use that and borrow against the equipment you know real estate commercial and you know residential real estate can be used you know, if insurance agents have assets in there and their recurring customers that are through a book a business. So, vehicles you know any of those type of things the things that are really an actual asset a lot of that could be pledged that for the lender to take if you default well if the lender has something to take and get part of their money back then it automatically lowers their risk considerably and they don't look as much of factors like revenue and credit and these other things and the rates are typically better too with some kind of secured financing using some kind of asset as collateral. Salena: Because they have a surety they know that if something happens they can recoup some of their money. Ty: Sure and in a lot of cases all of it you know it's interesting because here in the United States we have SBA and you know SBA is underwriting guidelines required that a lender take every asset that the business has to be used as collateral and then carry over and start taking personal assets like the person's home as collateral because what they want is that its person defaults they're gonna take every single asset to recoup as much of their loss as they possibly can. But then again there's a lot of financing that's unsecured which means there is no collateral being supplied. So, you know you can imagine the risk the difference in risk from a lender you know that has some kind of collateral or something to hang their hat on a case of default versus one that doesn't. Salena: And I can imagine those unsecured lines are significantly higher repairing significantly higher interest rate. Ty: You know you'd be surprised I mean you can still get pretty decent rates on unsecured financing, but absolutely without a doubt you're going to get better interest rates when you're talking about providing some kind of a status code. I mean that's when you'll commonly see interest rates below five percent which is lower than even you know the big larger conventional banks offer. Salena: I have to say the only benefit and I use around the benefit to come of the global financial crises is there is really low interest rates if you want to borrow money now not so great if you have money in the bank and you want to be making some money, but like you were saying the interest rates now are still very affordable whereas I'm just trying to think when I got my first home probably twenty years ago, they were up at ten, twelve percent. So, now here in Australia I'm talking about a home loan here which is a little bit different but here in Australia we looking at like four percent. Ty: Sure and the same thing here and a lot of it has to do with a shift in the economy that we've seen across the world over the last ten years you know what happens is that when we see what's happened then our governments really cut you know their interest rates or cut the interest rates that lenders are using to base their rates off of and then when this happens then we see home rates fall we see interest rates you know basically anything that's coming from a bank be much lower than what we're used to. So, it's a great time and what's interesting is that you know a study just came out that actually talked about how since the collapse in 2006 and 2007, in the economy that you know big businesses had their lending into them as recovered just fine, but the lending to small businesses still has not even recovered to the level that we've seen ten to twelve years ago. So, there's a lot of room to go in growth wise and a lot of lenders are getting in the space and offering more creative ways for business owners to be able to obtain business financing. Salena: That is so true and this is probably not what you're going to be talking today, but I know with the retailers that I talk with one of the very creative ways of getting credit is through PayPal, they have PayPal loans so they take your average turnover that comes through your PayPal account from your ecommerce store and they'll give you a percentage of that and you just pay back out of the orders as they come through your store and they don't skirling, it's fantastic and the interest rate is really affordable. So, it's this creativity I think it has been born of the global financial crisis. But I also know that really good retailers are having really good years my clients have had some of the best years ever in the last two or three years. So, business is getting better, but it's like the banks haven't quite caught up to the economy yet. Ty: Sure, well you know the problem with banks and it's easy to pick on big banks and say the bad guy you know, but what ultimately happens is they're government insured. So, our governments insure them and require that they be very conservative in their risk, but anywhere around the world when you start a business you know what happens is that inherently is risky the majority of businesses worldwide do fail because you know business owners don't necessarily know what they're doing when they're getting started in a lot of cases and a lot of them don't have access to the money they need to grow. So. this is wending inherent it's really a bad place to go to the big banks because they're just not the ones most equipped to deal with risky scenarios, they're not allowed to lend in those scenarios. So, what happened here the United States for example is that you know of course when something like this happens a lot of bureaucrats get involved and they come out with all kinds of regulation to try to you know make it look like they're trying to solve the problem usually unfortunately regulating the wrong things to begin with. So, they've now tightened it and made it harder for banks than ever to lend money the good thing is use as you stated is that what's happened then is it's opened up this entire sector of alternative lending that where all these other lenders are coming into play like PayPal for example where these lenders have said wait a second all these banks are pulling back there's a huge opportunity now for us let's start looking at a strength that the business has and lending money based on that strength versus you know the banks that look at the entire business and owner as a whole. So, paid out for example just looks at your revenue if you have consistent revenue if you're managing your bank account your PayPal account responsibly they'll use that one factor to basically lend you money as we talked about before other lenders will look at only the fact that you have collateral to lend you money. There are other lenders that will just look at the fact that you have good consumer credit to lend you money. So, what's happened is we've seen this huge shift and here in the United States for example over ninety-eight percent a business financing comes from these alternative lenders literally less than two percent of financing is even coming from the big banks to small business. So, it's just absolutely taken over it's become easier than ever to get money and there's a lot of different types of sources of capital bets out there like PayPal or like square the do these really fast easy to obtain advances just based on the fact that you have consistent revenue. Salena: And it just pays to be knowledgeable about these kinds of things because like you said that is a whopping statistic ninety-eight percent of business finance isn't coming from the banks and I know personally how difficult banks can be my husband and I have property our own names property and joint name we have a company, we have a trust, we have partnership and so, going to the banks to get a mortgage we have a broker he loves us, but he also hates us and every few years we rock up and he goes okay let me just clear my schedule for the next two weeks because the banks have their checklist and if you fall outside of those checklists you automatically get a no. So, he has to literally find a you know he has his own personal lending business manager and he'll be like no we have to sit down and talk first and then you can have the paperwork you want these people and so before we had that broker we just kept getting rejected. We were just in the too hard basket nobody wanted to actually look at with the assets that we had and of course once somebody can make sense of all of your entities it everything, they're like oh yes, we'll have you what would you like. So, using someone who has the knowledge like yourself can get you access to information and to funds that you didn't even know existed right. Ty: Absolutely, so I mean you know when we look at our company our chief operations officer you know she was one of the biggest she was the biggest Bank business banker for Wells Fargo Bank and the reason she got out of it and got into our space was because she became so frustrated that people could change very simple things and get approved, but the bank was not allowed to tell the actual percuss could the business owner that the customer that and you know in our world that is ridiculous you know we believe in a philosophy where education is very important you help you educate people look here's what lenders are looking for if you meet this criteria you get approved and if you don't you don't and what's crazy is that people get denied because the name on their application doesn't match exactly with what the state has or what the or what they registered for. Their entities registered, I mean exactly. So, you can imagine coming in this huge stack of paperwork that you spent a month gathering and not even knowing this, but you're blown got denied because your business name didn't match exactly with what here we have the secretary of state records it's crazy, but that's the problem is that you know lenders even the front-end bankers you talk to they're not the underwriters they don't even know you know. So, when you talk to front end bankers about corporate credit or business credit they don't even know this they don't understand it you have to go one layer deeper to their underwriters and their underwriters understand. So, even when you think you're meeting with your front end banker they may be trying to help you, but there's information they're not permitted to give you and there's a lot of information they don't even know or understand because they're not the ones underwriting these loans then when you're working with people that understand the underwriting process that understand the automated approval that here is the twenty point checklist that every lender is looking at let's make sure you meet these criteria before you apply like you said it's like a light switch goes on and all of a sudden a denial on the exact same file becomes an approval just because of the understanding of what they're looking for. The matching of the business to make sure it meets that criteria and the structuring of a package or a deal where it makes sense for the lender and that's why I think brokers make a ton of sense whether you're buying a home whether you're getting business financing personal financing somebody that specializes in any space like that you're gonna have a greater advantage because they understand the game per say and if you don't your chances of winning or just are very much nil and that's why you know over ninety of applications to big banks end up getting denied. Salena: And to be honest the broker isn't going to fleece you; the broker gets paid from the bank they don't get paid you don't have to pay them. So, they get a commission from the bank and it's in their best interest they put all this hard work in. I love brokers, I have brokers for everything broker for mortgages breakfast for insurance because like you said they know everything inside out, but it's also in their best interest they're not going to take the time to put your application together if they don't think that you're going to be able to get the loan because then they get paid if you don't get it they don't get paid. Ty: Well I agree and all brokers are different you know, so I used to be in the consumer financing side and we could charge points on the front end we to charge points to the customer on the backend and then the lender would pay as well you know in the commercial space I am we have the same ability although you know we don't charge anybody points we just get paid from the lender and you know what's interesting about these scenarios is that we also get volume discounts you know you may go to a lender like on deck and you know you're one person four on deck we are millions of dollars of funding’s every month. So, it's not uncommon for somebody to come in to us and get denied and we go to a bank like on deck and they say wait I've already been there and we say I know and we are able to get them and approved because we have so much pull than an actual one person going in does or we get better pricing and better rates at a discount that we can then pass on directly to the customer because again we're doing volume. So, in a case like our world or the world you're describing where you're not even paying anything for the service as a matter of fact it's not only free, but it's better than free because you're actually getting a discount because you're dealing with somebody that has pool with those lenders it makes a bunch of sense plus you know in the world of lending you know which lenders are hot and which ones aren't you know and it's very interesting the consumer and commercial space where as a bank like on deck or funding circle you know which is lending in the UK and Australia in the United States all across the world you know one month on deck will be on it. They will be _ I mean it's like they'll accept and approve any deal you send them and the next month it's like they've closed their doors completely and are scrutinizing deals at a level that you've never seen well people that are in the world know which lenders are know which ones are know which ones _ it's like the funds that they're accessing just became available again for the month and they're trying to fill it versus the ones that are and so, it's just a huge advantage pretty much in anything you do right to work with an expert because the experts have that inside knowledge you don't and in this world it determines whether you'll get approved and denied and also determines the rates in terms you'll pay. Salena: Okay, so we've been, I've been mixing you've been staying on track I've been mixing personal credit and business credit in this conversation. So, isn't actually possible for your business to get its own credit funding externally of you we've talked about yes it can get credit and you did talk about SPI earlier you know potentially wanting to take your house but are you able to get credit to get finance where you are completely excluded if anything goes wrong. Ty: Absolutely, it's the way the system was designed to be and what's interesting about the system is that corporate credit is what's recommended by peat almost every agency that's out there. So, here in the U.S. we look at SBA we look at NASDAQ and you know Forbes and fortune and ink magazine they all recommend business credit for the same thing you need to separate your personal and business liability, you need to separate your commercial and your consumer credit the problem is that the commercial credit reporting agencies and the credit issuers that lend based on corporate credit have done a very good job of just keeping this hush-hush they don't talk about this often because they don't want the small guys to even know about it. They want companies to grow to a point that they get CFOs and they get financially savvy people and their organizations that know these things and then they will gladly give those companies credit because those companies are then big enough and easily and can qualify, but what a lot of people don't know is even startups can follow the same system that the big companies follow to get the credit it's just a matter of knowing the status and knowing the process, if you know the steps in process then even the smallest start-up can still be able to come in and obtain corporate credit establish, a corporate credit profile, establish a corporate credit score and then use that business credit profile and score to qualify for all different types of credit. Now, it would be a long time and a lot of established credit for it alone to help you qualify for loans having corporate credit established will make it easier to qualify for loans and get you better terms, but to be used solely for financing it's mostly solely used for revolving credit. It's the visa cards, it's the master cards, is the American Express cards for twenty forty fifty thousand dollars or higher that you can get. It's the thirty thousand dollars that you can get at Apple and the fifty thousand you can get at Walmart and the twenty thousand that you can get a Best buy it's, it's available almost all major retailers you can get vehicles financed with it you can get the cash credit which is the Visa card, the MasterCard, you can get fuel cards, all of that you can get based on corporate credit alone and nothing else. But when it comes to loans, they're still gonna look at other factors corporate credit being established just makes it easier to actually be able to get approved. Salena: Okay, it's very important to think about credit being kind of two different things one is these revolving kinds of line of credit three stores or three cards and the other one is a big chunk of cash to buy something. Salena: Okay, now that we've decided we're going to go and set our business up to get probably the revolving credit in some way shape or form what are some tips that you can give us to make sure that the business maintains a really good credit profile and a really good healthy credit score going forward. Ty: Pay your bills next question. It really is that way though I mean in the corporate credit world the score is almost solely based on payment history so when we look at Equifax and when we look at dun and Bradstreet their scores are only based on credit history or bet payment history and Experian eighty-five percent of the scores based on payment history. So, it really comes down to how you pay your bills as long as you get credit that reports to the reporting agencies and you pay the bills as agreed or on timer early that's what will get you good scores. So, to get good scores it's easy you get credit that reports you pay disagreed and to maintain the scores it's easy you just have to make sure that you continue to obtain more credit. The more credit you obtain the higher the limits you get same as consumer and commercial credit with that and then you also want to make sure you pay your bills on time if you do that one thing and that one thing only will give you well established commercial credit scores. It you can just go and get fifty thousand dollar a Visa credit card and then go on a shopping spree. Salena: The bill comes at the end of the month, so be very responsible when it comes to choosing your credit limit because quit often you get to choose. Ty: Well absolutely and you know that goes with anything right, so you want to make sure that you're only getting credit that you could pay and this is one of the reasons that you know a lot of lenders don't like to lend to startups because they're just figuring out what they're doing and they're usually not as fiscally or financially responsible as somebody that's got an already established business that's already used to budgeting money etc. so, you never want to get more than you can use because if you default then some things can carry over to your consumer credit as collections or they can come after a lot of your business assets and depending on the country and depending on the entity you've chosen sometimes just because the entity you chosen the business type that you've chosen will now also make you personally liable. 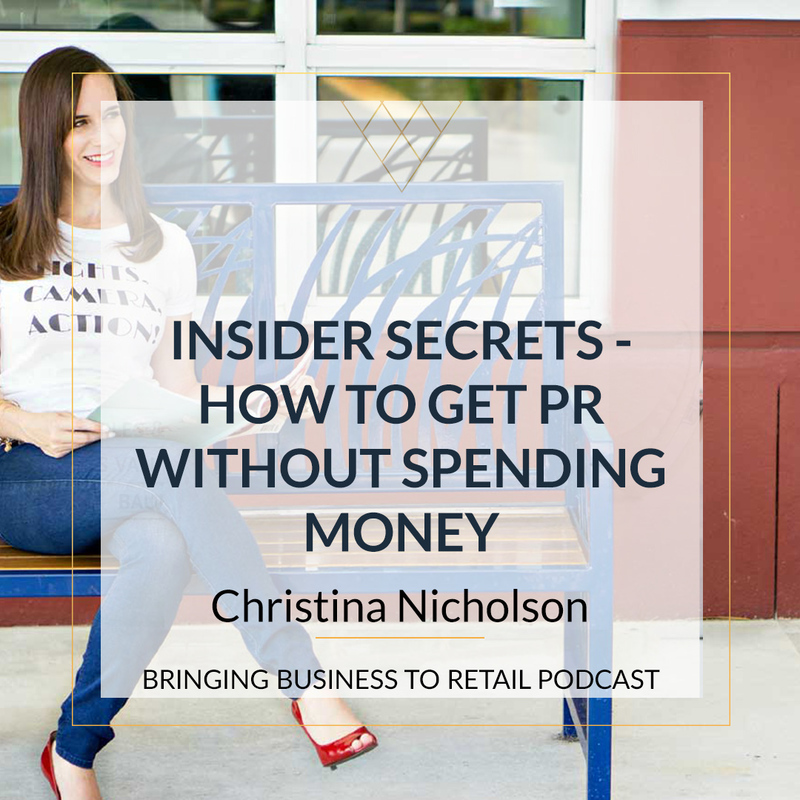 So, you know with anything you want to make sure you're paying the bills is agreed because if not there's always repercussions and the repercussions are that they can come after the business or possibly even your personal assets. Salena: Okay that was actually going to be my next question. So, thank you for it before I even asked it, I have another question about credit cards I am NOT a financial advisor I will just talk about my situation I love a credit card mainly because I get a crap ton of frequent flyer points. Salena: I'm flying to America in a couple of weeks business class and I think I paid twenty dollars in taxes for it, all my points go to flights and this is how you afford to fly businesspeople you never pay cash for it you always use points. So, do you suggest that when somebody goes to get a credit card, they look at the benefits that comes with it because I have to admit when I got my _ I just moved my credit card to mix because here in Australia the government regulated how many frequent flyers points you could get from the banks and of course Amex is not a bank here in Australia. So, they kept giving us our two points for every dollar whereas the banks went down to half a point for every dollar, so that's you know a huge a quarter of what we could have the points that we could have a mess and my husband is the same he puts everything through his credit card and then we just pay it off. So, you end up with literally half a million points, it doesn't take that many points to fly to America from Australia. I think it was two hundred points returned for business class and if you're putting that much through it's, it’s just like money in the bank. Salena: It like flyers in the bank. So, do you suggest that people look at the perks that come with a credit card or is that just. Ty: Absolutely, I think everybody's a little different some people do it for zero percent some do it for rate and APR some do it for points. I'm the same as you right the most common cards that I use in the personal and business are my Marriott and my American Airlines for obvious reasons right because what I ultimately do is I get the ability to fly for free. I get the ability to do hotels for free. So, it's really works really well you know on the personal side my wife and I put every bill that we're allowed to put on our credit cards and then when we get paid we just use the pay to actually pay off the credit cards and for the same reason you're discussing because this gives us this cruel of points and then you know that pays for at least one or two vacations completely paid for in a year. The same thing for the business you know the business can then help there are travel expenses just because we're doing it. so, my advice with credit cards is that you know you should look at the ones that you're going to use the most like for example we got Marriott because we just end up staying at more Marriott proper is it any other property. So, now we do that at Marriott loves it because now we seek out their hotels wherever we go to get their points. We chose American Airlines because it just so happens it seems like most of the flights we booked or American Airlines flights. So, we went ahead and got the American Express American Airlines credit card we got thirty thousand plus points seventy-five thousand was some different counts like Marriott etc. and then we continued to accrue time money every time we spent. So, we put things like our advertising completely on our credit card and then every week we pay it off we might spend ten thousand dollars in advertising for the business. We put it all on an Amex and then we pay the Amex off and what else is nice about that is that's the key to getting higher limits. So, we just asked Amex for twenty thousand dollars increase to their limit they gave it to us immediately, we asked Capital One for a five thousand limit increase they wouldn't because we don't use the card. Well we don't use the card because they report to the consumer reporting agency. So, it's like we're not going to use your card as long as you do that so again the more you use the card the higher and faster your limit climbs up as well. So, it's also good idea every six months to call that credit issuer and ask for a limit increase as well. Salena: As long as you can afford to pay. Salena: Cash what do you mean by that. Ty: So, we can't even do it anymore you know our bankers don't want us using our debit cards, so you're almost forced into a position for even security reasons to use card you know to use credit cards versus actually use that because and it is safer because I don't know about you, but I've definitely had them skim my credit cards somehow and then all of a sudden, I have crazy transactions and my bank's calling me and it's a mess. Salena: Yes, I do remember the call I got one day from the bank which was we are just checking if are improve right. Ty: That’s going is happen it was funny because it was like Dollar General was a charge right and it's not a place we would ever shop and so we thought were like well they just know our style, they just know that like we don't shop at dollars you know, but the reality is they knew that we couldn't have just used the card down here and so been in Michigan which is a whole state across the country at the same time you know. So, they have algorithms that automatically are looking for certain things and then notifying it. So, the bottom line is it's in everybody's best interest the business owner the bank the credit issuer to use credit be like you said you have to be wise it's not a matter of accruing a bunch of debt it's about just paying on a credit card which you would normally just spend cash or out of your bank account to do and then you have to have that money still in your account to be able to pay off that debt when it comes time to pay that bill. Salena: You did, we had five-thousand-dollar daily withdrawal limit and you know some time you are paying the Facebook ad bill it more than five thousand dollars. So, you had to go to credit card anyway, but I remember right back in the day that is what tweaked me to go I need a credit card for this because the bank won't actually let them take that much money out in one goal. Ty: Right, yeah! you're exactly right and that's the same thing as that you know look I've always got into trouble with consumer credit cards so I started I stayed away from them for a long time and the problem with that is that then I lost all the benefit of all these points you accrue for one and for two it quickly became problematic when this they started to take money out of our account or spend money on the account. So, we just learned that look credit cards are just a safer way to go and then you get that secondary benefit of accruing points at the same time. 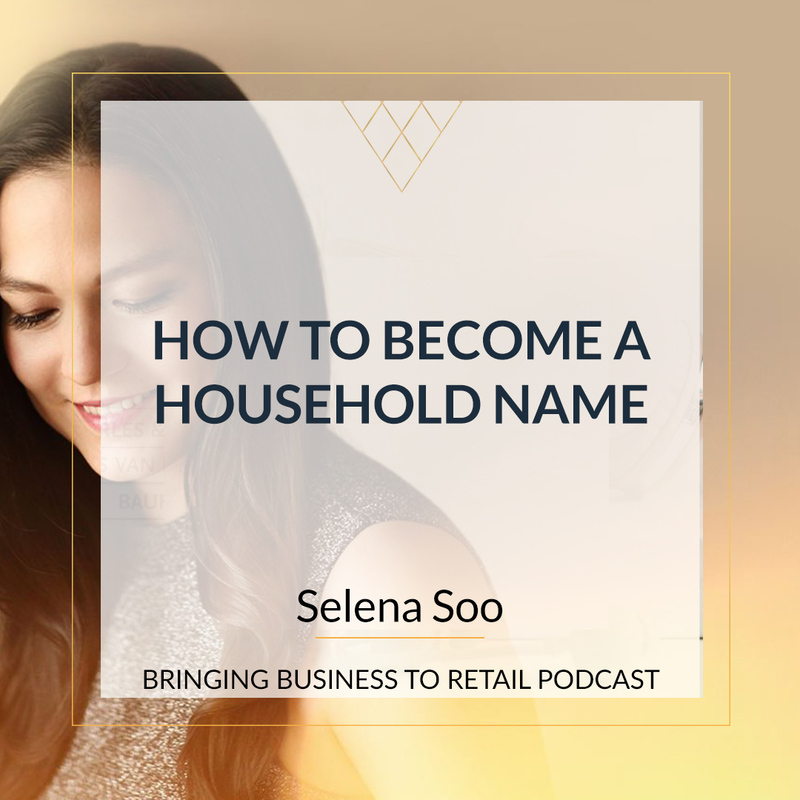 Salena: Very wise okay you have given us a lot of information, a lot of faithful thought what is the one tip if people could walk away from this podcast and you feel like you've left them with one nugget that will change their concept or their ability to get business credit what is it. Ty: Get your debit card because you could get five grands out in cash a day. Look you need to get money before you need it and that's the thing that's the biggest mistake that we see business owners make is that what happens is they wait until they really need money to get it and then the problem is they've already put a bunch of money on their personal credit they've already lowered their consumer credit scores and you know banks are looking at this banks want to lend to people that are financially safe and so, when you're going out and building corporate credit and getting loans and credit lines especially credit lines when you're securing these when you're in a good position and you don't need money and somebody pulls your credit and they see that you don't have all your credit cards maxed out you have a significantly better chance of getting approved and it also helps you to because when you're building to subscribe if this is an immediate this is a process. So, you don't want to need money and then need to go through a three to six-month process to get it. So, start building your business credit the minute you start your business and make sure that you go in any opportunity to build business credit, get business credit, access credit, lines to access money to have at the ready when you need it take advantage of that opportunity most businesses fail because they don't have access to capital when they need it unexpected things come up and they can't carry themselves they know how the finances that their financial access they need to carry themselves through those tough times. It's the biggest mistake that I see business owners make it's the biggest mistake that I see push business owners out of business and it's so easy to fix just start building business credit the minute you start your business access credit lines whenever they're available to you just to have them ready and that way you have money when you need money which can help you through some of the toughest of times. Salena: Fantastic, can I of money tell me what your favorite store. Ty: You know I'm an Amazon guy. Ty: It's so convenient I'll tell you a funny story is I walked into Best Buy the other day and bought a computer and I walked down I told my wife I said that was like an amazing experience like I haven't walked into a physical store and like looked around and it was cool they had like light bulbs that turn on automatically with your phone like I feel like I hadn't been in a store since the with all the new tech they had out. So, it's you know because they Amazon change it they just made it super convenient. So, I buy a lot of my stuff on Amazon because I'm conscious about building business credit I spread things out to other stores, but I have to consciously stop from going the Amazon route to go there because it's so convenient everything you need in one place and they have such a simple checkout process that for business owners where seconds or minutes means so much to me. It's just a greater way to do it. 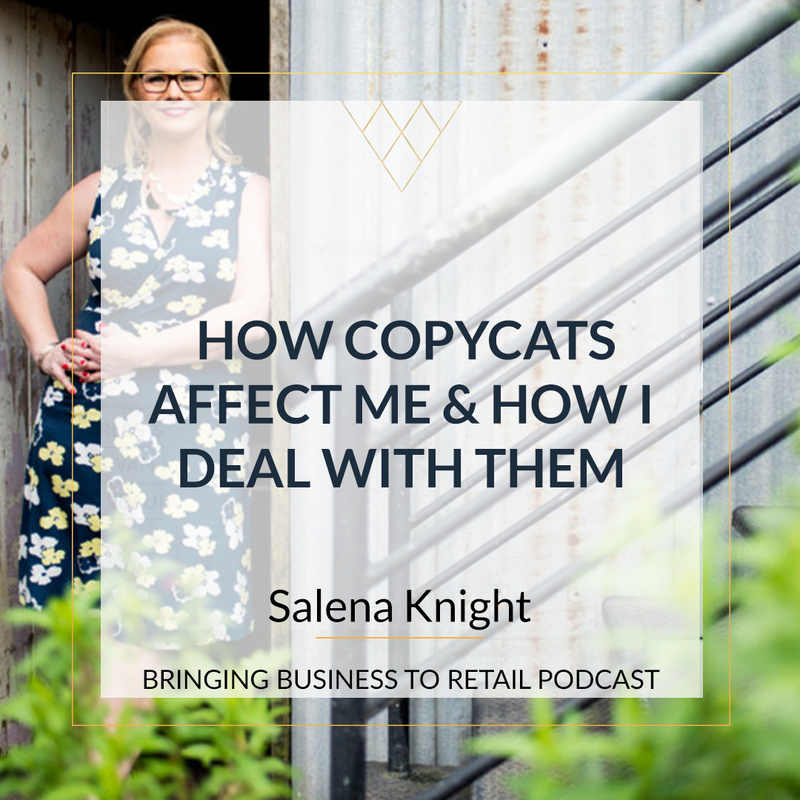 Salena: So, what we need to take away is independent business owners is make it really easy for people to buy, don't have the convoluted checkout process make things easy to find and make buying really simple. Ty: Absolutely, I think that that's it and I think we're in a world now as well something to think about is that you know the biggest companies that are just going be coming billion if not trillion-dollar businesses they're using other people's assets and other people's resources you know and that's another thing to keep in mind too is business. I mean that is the future you know it's the Ubers using other people's vehicles instead of stocking their own it's the ways that you can actually get directions because they tie into other people's cell phones to get traffic data. It's everything, it's Air B and B where you can stay in other people's homes. I think that's really the way that's the future of what we're seeing these biggest companies are pulling together assets and information that are not theirs and putting it in one place he making it convenient for people to access and I think that's the biggest shift we're seeing right now in business. Salena: Definitely, now I had to look at your website and you have got quite a lot of information on there inform of blog all about business credit. 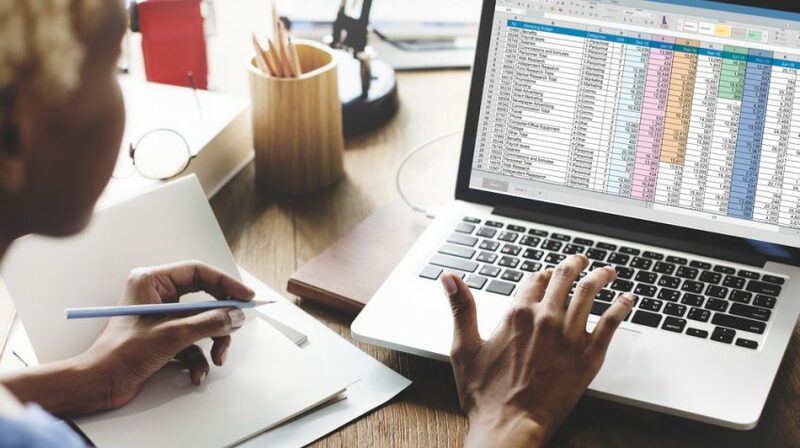 So, if people will like to read a little bit more or maybe even chat to you about your services in terms of organizing business credit where can they find you. Ty: They can go right to our website credit suite.com and we've got a great free guide that maps out the steps of building business credit works just as well in Australia or the UK is it us here in the United States and that's a business credit or that's credit suite.com/E. I. N. so that's credit suite comm /E.I. N the letters E.I.N and if they go there they can't even grab a free guide on building business credit. Salena: Fantastic, thank you so much and of course we'll pop a link to the website and to that guide it sounds like it's going to come in very handy for a lot of people into the show notes. Thanks again so much for sharing all of your knowledge here on the show today. Ty: Thanks for having me I had a blast or such a gracious host.